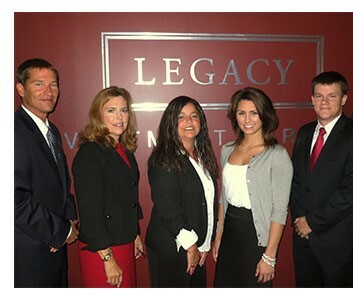 Legacy's expert team of financial advisors is committed to providing the discreet and trustworthy guidance you expect in all financial matters. As true fiduciaries, they strive to listen to your goals and objectives in order to create your personal Legacy plan. We hope you will take a moment to get to know our team. We look forward to serving you.